After much waiting, the iOS 9 has finally arrived to mobile devices of Apple. The new OS version brings a number of new features for consumers who can now count on changes in apps, a Siri remodeled and more changes with the new version of the operating system. 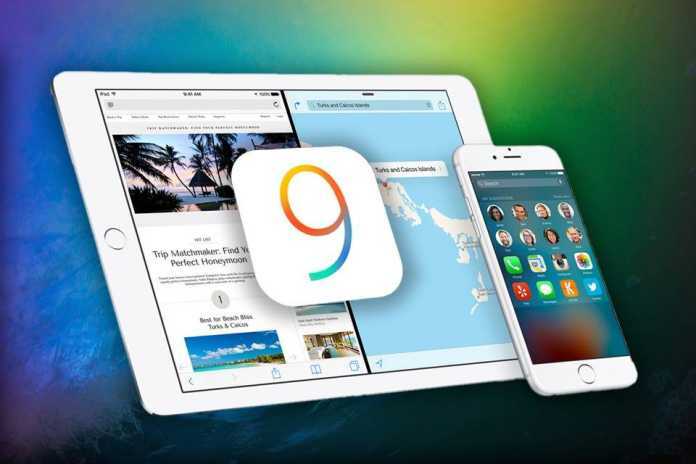 Download And Install iOS 9 For iPhone And iPad Also Must Follow The Procedure Before Doing This Workout. From Wednesday September 16th, all consumers with compatible devices will acquire the updates of iOS 9. Check now how to perform the process on your device and enjoy to see some tips to ensure that your device is fully prepared for the news. You are already more than used to hearing this advice before major updates, does not it? For iOS to take 9 to your smartphone or tablet to tip is valid again. Make a backup of your photos and applications enjoy iCloud to do this without external drives – and do not worry about the safety of your data. Before downloading and installing iOS 9, it is essential that you free up space on your laptop. If you already have iOS 8 installed on your device, it will take only 1.3 GB of space for the download and installation of the new system. On the other hand, who is still with older versions it will have to release at least 6 GB. Remember that have fewer files on the device may cause the whole process is faster and more stable. The update process is very time consuming in some cases, why iOS requires that your device is with the battery charged before starting the update. If you have chosen to make an “update on top,” can perform the entire upgrade process of the OS by the device itself. On the other hand, if you want to install the new system making a device formatting, the most appropriate is to conduct the process through iTunes and this is even more important to remember to backup your data. On Phone: to update the device, you will have to access the Settings menu> General> Software Update. Then just accept the terms of Apple’s contract and wait for the download which may take more than an hour, according to the speed of your internet. On the computer: if you prefer to download via iTunes, you will have to open the application and connect your device via USB cable in iTunes itself, select the device. Then look for the “Summary” pane and click “Check for Update“. Finally, you only have to click on “Download and update“.